Here's the Hoopla story told through images from events we've produced--each one moving the world forward in a positive way. Thank you to the amazing photographers with whom we work and whose pictures fill this gallery: Eddie Quiñones Photography, Evanston Photographic Studios, Tone Stockenstrom Photography, Jennifer Girard Photography, Gail Pollard Photography, and Starbelly Studios. 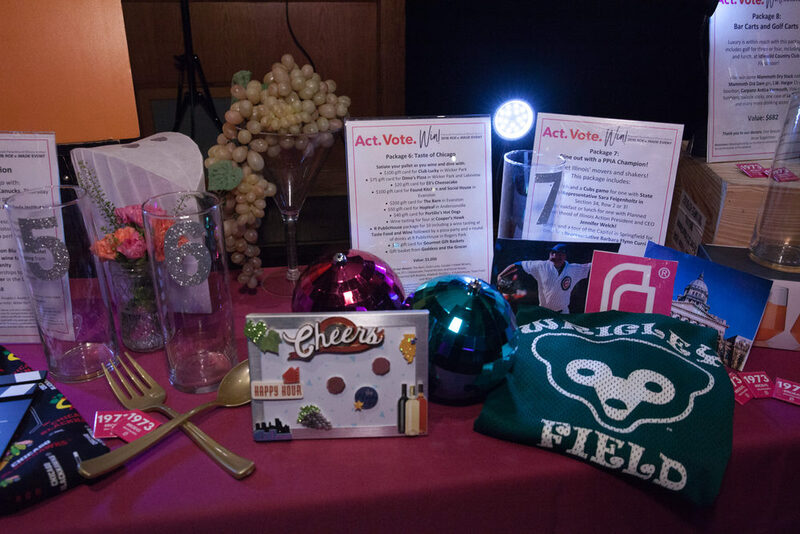 A raffle display at Planned Parenthood Illinois Action's 2018 Roe v. Wade Event. 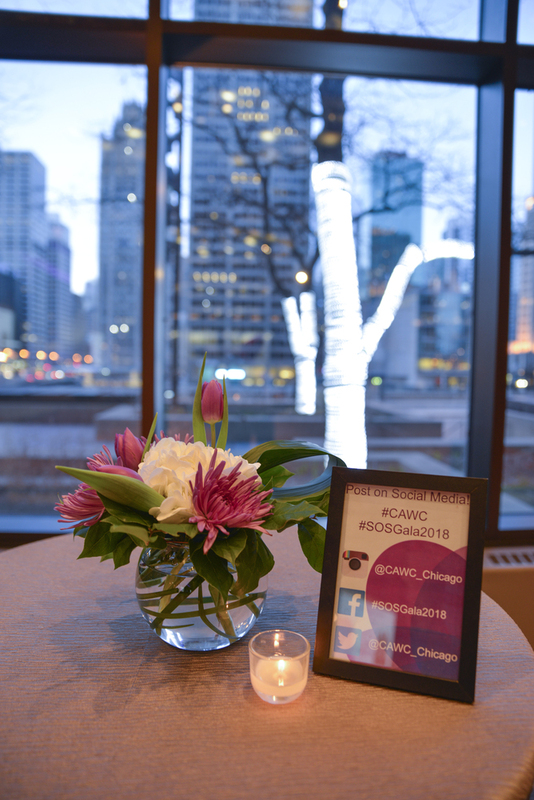 A beautiful floral arrangement at Connections for Abused Women and their Children's Sounds of Silence gala at the Hyatt Regency Crystal Ballroom. Chicago Family Health Center's prize wheel. 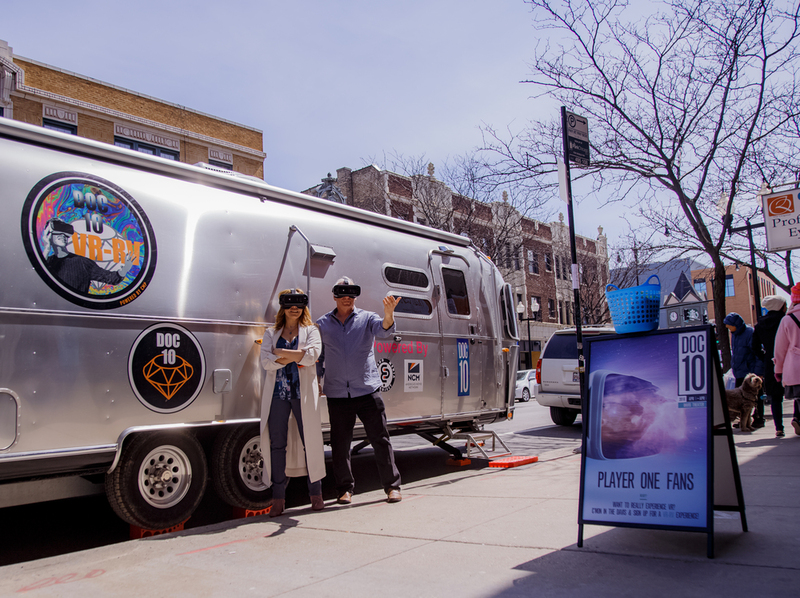 Chicago Media Project co-founders Steve Cohen and Paula Froehle pose with the VR-RV outside the Davis Theater. 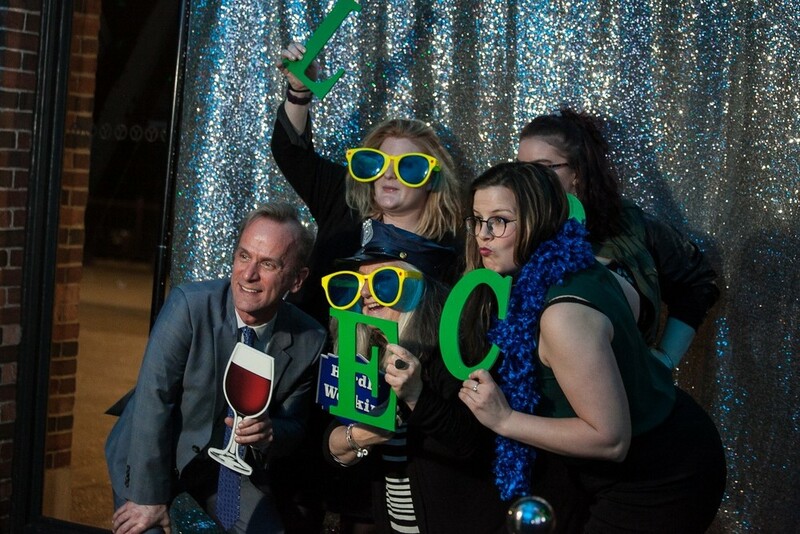 David Perry from Environmental Law and Policy Center posing in a photobooth with the Hoopla crew! The marching band at Northwestern helped us celebrate! The Center for Economic Progress' new Progress on the Go bus that will travel around Illinois to assist even more with tax and financial services. 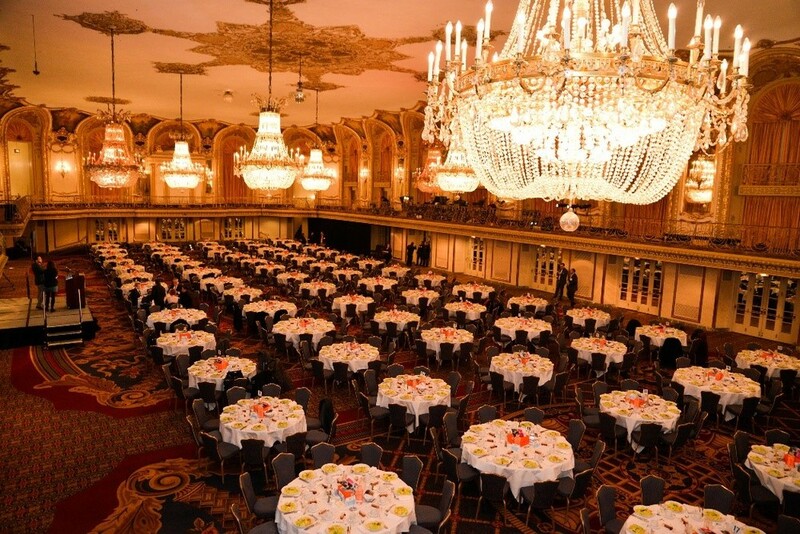 The Grand Ballroom at the Chicago Hilton. 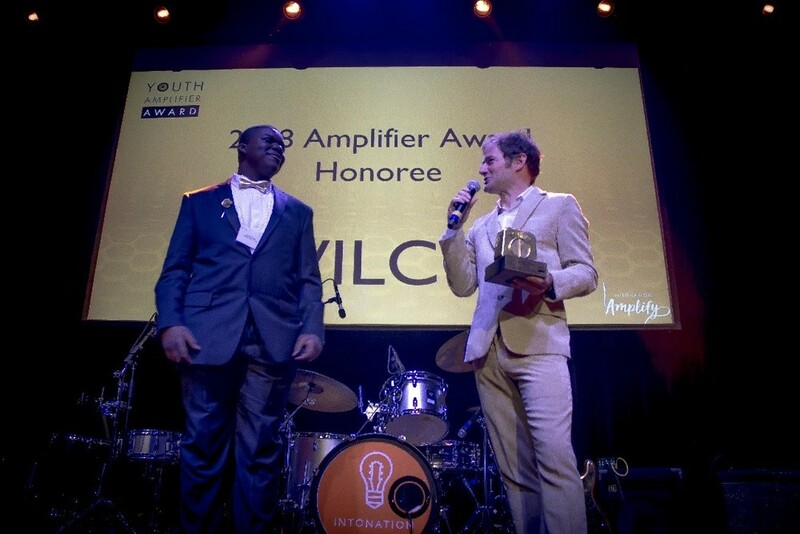 Wilco guitarist, John Stirratt, accepting the Youth Amplifier award at Intonation's 2018 Amplify gala at Theater on the Lake. Chicago television legend Ben Hollis interviewing folks at the MashUp. Human Rights Watch's 2017 Voices for Justice annual dinner, held at the Modern Wing of the Art Institute. 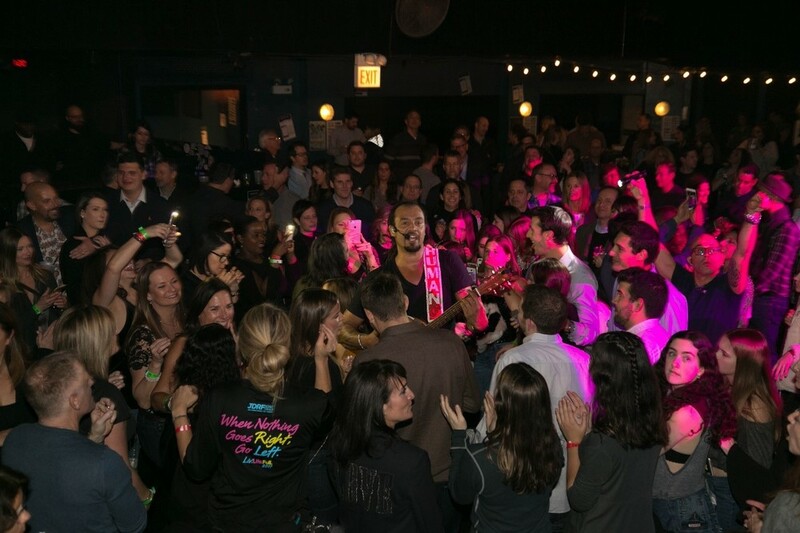 Michael Franti performing and raising funds for type 1 diabetes research. 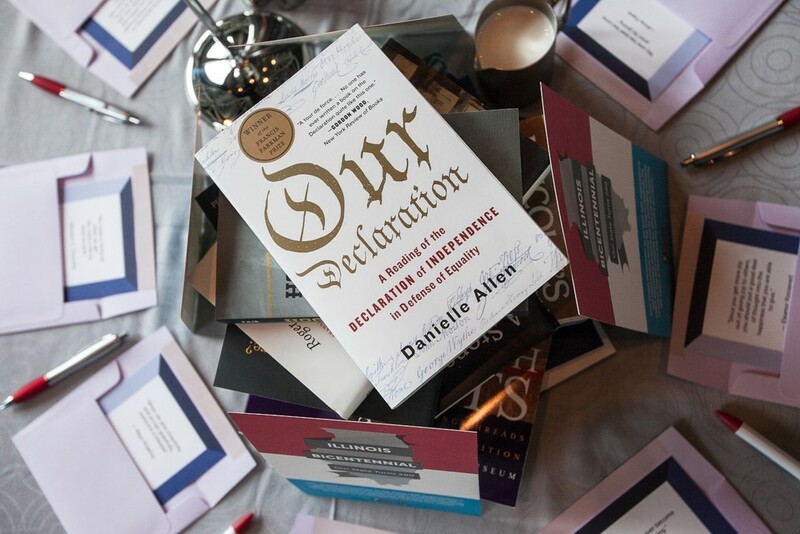 Gorgeous centerpieces made from books at Illinois Humanities' event. Cook County Board President Toni Preckwinkle speaking at the Women's Business Development Center's early childhood education exposition.